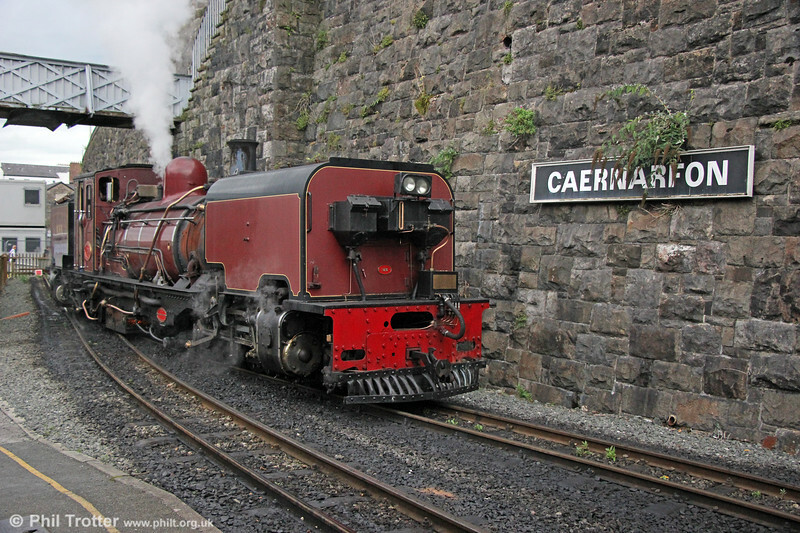 Welsh Highland Railway NGG16 2-6-2+2-6-2T Garratt no. 138 (BP 7863/1958) at Caernarfon on 7th September 2017. This loco was one of the fourth batch of seven NGG16s (nos 137 - 143) built in 1958. These were the last steam locos built by Beyer Peacock, which were originally ordered by the Tsumeb Copper Corp of South West Africa in 1958 but when its line was altered to Cape Gauge, South African Railways took over the order. At the time of the visit a new more substantial station building was under construction beyond the current headshunt.